Winning ticket in $560m Powerball drawing sold in N.H. The exterior of Reeds Ferry Market, where the winning Powerball ticket was sold. When Sam Safa got a phone call early Sunday morning, he thought perhaps a pipe had frozen at his convenience store in Merrimack, N.H. But his employee had much better news: Reeds Ferry Market, Safa’s store, had sold the lone winning ticket in Saturday’s $559.7 million Powerball drawing. As people trickled in and out of the store Sunday to check on whether they had the winning ticket, Safa said he was awestruck. 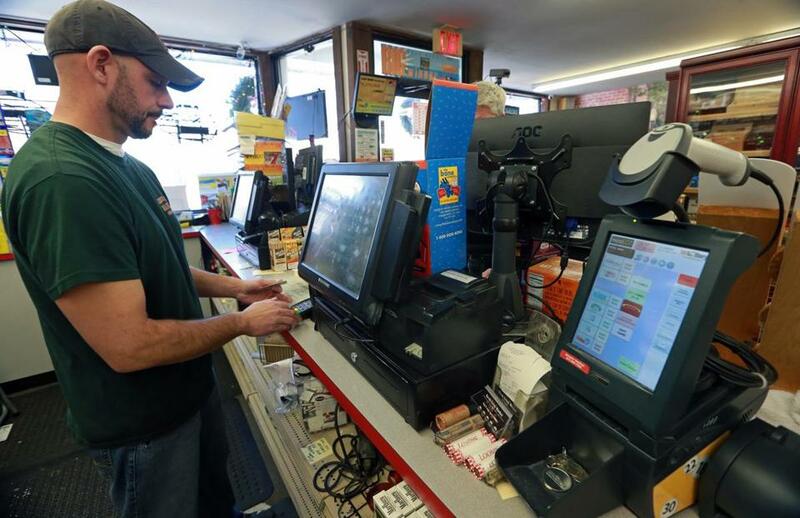 The store will receive a $75,000 bonus for selling the winner, according to New Hampshire Lottery spokeswoman Maura McCann, who was in the shop Sunday morning. Safa said he didn’t know what he was going to do with the bonus, but he had a couple of ideas. Safa said he has owned the store for 14 years, but it has been around since the late 19th century, with a new owner about every 10 to 15 years, mostly local families. The store’s 2.5-story building was constructed in 1917, according to Merrimack’s assessment records. Since taking over the shop, Safa said he has made some changes, including what the store sells. With its 12 flavors of coffee, high-end craft beers, and deli foods, Safa said the shop is now more of a “country store” than a convenience store. About 80 percent of the store’s customers are locals, Safa said, and the other 20 percent are from out of town. “I’m hoping that a townie got” the winning ticket, he said. The winning ticket was an easy pick — the numbers were chosen by the computer, according to Safa. Saturday’s jackpot was the seventh largest in US history. It was the 11th winning Powerball ticket sold in New Hampshire since the state joined the game 23 years ago, McCann said. The ticket takes the cake for the store’s history, too, at least according to Safa. He said he has sold $100,000- and $250,000-winning lottery tickets, but not one this large. The winner has not come forward yet, and it is possible the person is unaware of the win yet, said Charlie McIntyre, the executive director of the New Hampshire Lottery. The town is abuzz, though. McIntyre said he and McCann went to a diner early Sunday and everyone was talking about who the winner could be. Earlier reports said the jackpot was $570 million, but McCann said the winner will receive nearly $560 million. The jackpot amount refers to the annuity option, in which payments are made over 29 years. Most winners opt for cash options, which in this case would be about $350 million. The winning Powerball numbers drawn Saturday night were 12, 29, 30, 33, and 61, and the Powerball was 26. It’s the second big-time jackpot ticket sold in New Hampshire in the past 18 months. A $487.6 million Powerball winner was sold in July 2016 at a Hannaford store in Raymond, N.H., outside Manchester. The winner chose to remain anonymous, but did donate $100,000 to local nonprofit groups. Josh Henault worked the register at the market on Sunday. In Merrimack Sunday, with “a lot of people” at his store and camera crews outside, Safa said he would spend the day trying to process the news. In a tweet Sunday afternoon, New Hampshire Governor Chris Sununu congratulated Safa’s shop. 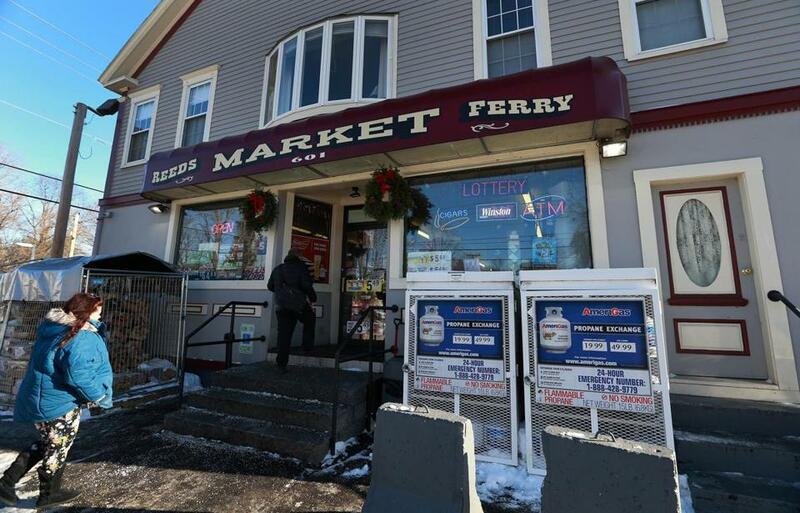 “Congratulations to Reeds Ferry Market in Merrimack for selling the winning $560 million Powerball ticket! #603Pride,” the tweet read. The win was a hot topic with Twitter users from Merrimack Sunday. “Yes, I live in Merrimack. Yes, I know the winning Powerball ticket was purchased in Merrimack. No, if it was me. . .,” one tweeter said. At The Homestead Restaurant & Tavern not far from the store, manager Vickie Milano said she goes to Safa’s store “every night” and sometimes plays Powerball. She said she didn’t buy a ticket Saturday night, though. “I’m feeling the regret today,” she said in a phone interview. At the restaurant and around town, Milano said everyone is waiting to find out who the winner is. “We are all dying to know,” she said. Sean Smyth of the Globe staff and material from the Associated Press contributed to this report. Alejandro Serrano can be reached at alejandro.serrano@globe.com.